Demands for royal commissions usually bark for a while and die with a whimper, the potential targets yawning all along. 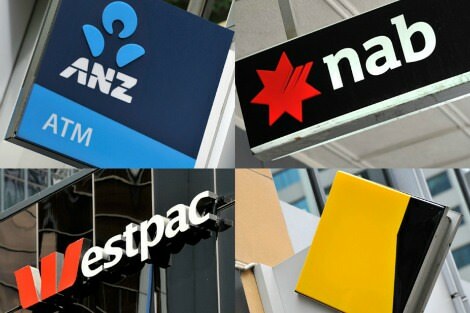 The Labor Party demand for a Royal Commission into the banking and financial industries, however, has caused the government and banks to scurry in their anxiety to avoid it. The most telling criticism of the proposal is that it is populist. The pejorative word characterises policies as both popular and lacking in rationality. Populist has overtones of the ancient mob which is powerful in its brute anger but whose demands are ultimately destructive, changeable and counter-productive. Their fervour needs to be tempered by the advice of the wise elite, namely the critics of the proposal. To call this proposal populist is really a concession that acknowledges its popularity and so its political seriousness. Recognising its popularity, its opponents have changed tack. Initially they argued quixotically that that it would diminish people's trust in banks and would divert their attention from their proper business. They claimed, too, that such central enterprises as banks are best left free to regulate and investigate themselves. Other opponents of the royal commission were less subtle: in the shadow of an impending election they threatened to launch a big-spending campaign against it. But it soon became clear to financial institutions and to government that the proposed commission was massively popular, that the scandals and cover ups had left little trust to be eroded, and that self-regulation would be seen as synonymous with self-interest. So all kinds of concessions are now being offered to avoid the dangerous royal commission. The ineffectual and only recently emasculated ASIC will be funded by the banks themselves to investigate bad behaviour; the government has put banks on notice; secrecy will be removed from shell companies used to avoid taxation, and so on. Whether politically these concessions will be enough to bury the proposal is uncertain. "If the engine of a good society is economic competition with minimum regulation, then what ethical boundaries can be placed around competition?" If popularity by itself equated to populism, the royal commission would certainly be populist. But populism also implies a lack of due rationality, an unwisdom. Its critics assert vehemently that it would be unwise but offer little argument in favour of their claim. The vehemence of their opposition, however, suggests that at issue are not merely conflicting arguments but also conflicting views of what counts as wisdom. They fear that a royal commission might go deeper than deal with the bad conduct that banks have fostered. It might also consider the rationale the banks offer for business as usual, and find that the abuses in fact flow from that rationale. The ideology currently accepted by banks and government is that a healthy economy is defined by competitive individuals who are motivated by material gain. Furthermore, the good of society is defined by economic growth, which depends on individuals and individual corporations being able to compete with a minimum of regulation. Acceptable regulation is confined to to cajoling and forcing people to compete economically. In a word, the engine of prosperity and happiness is greed. The evidence of misbehaviour by banks and other financial institutions has become public at a time when the underlying ideology has also been criticised. The inherent unlikelihood that an economy based on individual greed will benefit the whole of society is now patent. It is seen as much more likely that unregulated competition for material gain will lead to the concentration of wealth in the hands of the wealthy and powerful. And evidence now suggests that inequality in fact hinders the economic growth it was presumed to nurture. This suggests that the instances of bad behaviour uncovered in banks and financial institutions were not one-off but the natural and systemic expression of an ideology and an economic system based in greed. If the engine of a good society is economic competition with minimum regulation, then what ethical boundaries can be placed around competition? Even legal restrictions will be subverted. The fact that abuses in the financial industry have been made public by dedicated journalists and community organisations, not by government and industry bodies fuels the call for a royal commission. It is needed to propose regulation and structures that enshrine the responsibility of the financial industry and other corporations to serve the common good. The demand for a Royal Commission is popular but not populist. It is eminently reasonable. If we want to denounce populism, we might begin with the highly popular but humanly incoherent and economically extravagant treatment of people who seek protection. It's interesting that the arguments that are being used by the banks and their supporters against the need for a Royal Commission (insufficient evidence, the existing regulatory authorities can handle this, just a few bad apples, we have sorted it out already) are exactly the same arguments that were used by the churches and their supporters against the need for a Royal Commission into child abuse in churches and other institutions. I'm wondering about the 'wise elite' whose judgment stands above all others. Would they be tall poppies or twelve characters to the inch, as in typewriting? On a more serious note, there are certainly significant differences between 'popular' and 'populism' and popular does seem to be a much better word for politicians to consider being. I applaud Labor's agitation for a Royal Commission into Banking, the common good demands it. On the pretext of repayable loans, corrupt companies have bankrupted many countries, created high unemployment, food shortages, poverty and starvation.Father Hamilton rightly emphasises the need for a Royal Commission into the banking and financial systems in Australia, but he also explodes other myths touted by the wealthy and the greedy: that the 'trickle down' effect provides employment and funding for the poor; that detention centres are saving lives and are economically viable; and that humanitarian aid depends on the 'kindness' of millionaires. We all know that the billions made from banking (and mining, fossil fuels, pesticides and other chemicals, and weapons of mass destruction) could erase world poverty. There is no need for charity at all if those with more money than they could spend in a hundred lifetimes, were held accountable, and justice truly served. I think Ginger Meggs has identified how the banks and the Catholic Church (at the very top still) are running interference campaigns in deflecting attention away from their collective hubris and dysfunctional governance. Many years ago, Noam Chomsky correctly labelled it 'flak' and the furious barrages are still going up. Greed is illimited. So the only way to limit cancerous 'growth' of those with most power is by government and governed regulation. What is fascinating is the way the top few fight regulations, or make them work for themselves. The banks are powerful. They invest PR spin forces to undermine logic, to trivialize and to confect simple populist answers. Why stop a successful system benefiting the powerful few in society? Distinguishing "populism" and "popularity" is good logic. But the spin doctors know how to invoke emotions to evade logic and get their own ways with the populace. Banks are big contributors to the conservatives so we have the best banks and politicians money can buy. A well-considered and very rational analysis supported by insightful comments, all recognising the real need for a royal commission into the banking system. This is clearly about dysfunctional governance of the banks who are resisting necessary government intervention. Governments exist to prevent this sort of abuse of market and political power; all political parties should be committed to a royal commission! The analogy with the Church's reaction to the Royal Commission into Institutional Responses to Child Sexual Abuse is very pertinent noting that the dysfunctional governance of the Church is now being exposed. Agree with Andrew Hamilton. What I want established is how much the bad behavior of the banks has cost Australians (courtesy for example of bad financial advice to individuals and groups and the rigging of interest rates) compared with the damage done by the unions by practices which for example increased building costs. We don't know the latter because the relevant data from the Abbott royal commission hasn't been released, though It should be. If there is a Royal Commission into the banks, we need very careful analysis of the actual costs caused by dubious bank behaviour. Let's have some real publicly accessible analysis so that the extent and nature of the costs imposed can be established. Anything else treats voters llike mugs.